• The UK’s tallest sculpture, the ArcelorMittal Orbit, will be open to the public in Queen Elizabeth Olympic Park – described as the “biggest new park to open in Europe in 150 years” – in London’s east from this weekend. While the northern part of the 560 acre park, the Copper Box Arena, Lee Valley VeloPark and Aquatics Centre have been open to the public since July last year, from Saturday visitors will be able to visit the southern part of the park featuring the 114.5 metre high sculpture. Features in the southern part of the park include a new tree-lined promenade with giant globes, interactive water fountains, an adventure playground and four themed walking trails focusing on the 2012 Games, nature and biodiversity, education, and art and culture. 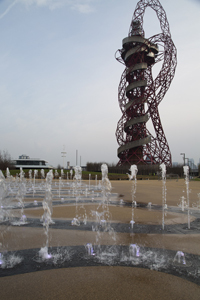 Visitors who head to the top of ArcelorMittal Orbit will be able to view across 20 miles of London from a 76 or 80 metre high platform (admission charges apply – £15 adults/£7 children/£40 for a family of four – and, be warned, you may need to book) while at the base of the sculpture is a cafe and event space. The opening weekend will see a host of special events including a parade of children, an aerial acrobatic performance, choirs, bands, dancers, poets, circus performers and story tellers and ‘try out’ sports and fitness sessions. 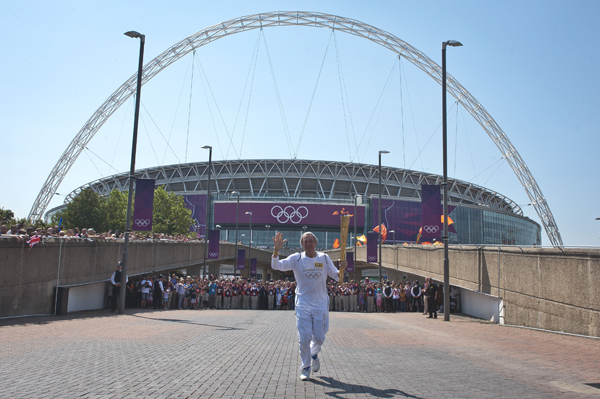 There’s more yet to come with the Lee Valley Hockey and Tennis Centre opening to the public in June and the Olympic Stadium reopening for the 2015 Rugby World Cup next year. For more on the park, see www.queenelizabetholympicpark.co.uk and for tickets to the ArcelorMittal Orbit, see http://arcelormittalorbit.com. • The printed works of William Shakespeare are the focus of a new exhibition which opened at the Guildhall Library in the city this week. Shakespeare in Print explores the library’s Shakespearean works and looks at how they were produced. Among the treasures on display will be a First Folio, the first collected edition of his plays, contemporary writers quartos and later editions of the Bard’s plays and poetry. This free exhibition is running until 29th May. 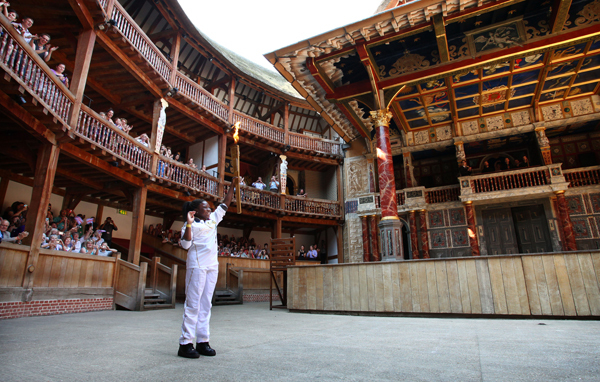 The library will be hosting a series of Shakespeare-related events in the week of 22nd to 25th April to mark the 450th anniversary of his birth. For more, head here. • Italian fashion from 1945 until today is the subject of the V&A’s spring exhibition opening on Saturday. The Glamour of Italian Fashion 1945-2014 will feature 100 ensembles and accessories by leading Italian fashion houses including Dolce & Gabbana, Giorgio Armani, Gucci, Prada, Valentino and Versace as well as creations from the “next generation of talent” including Giambattista Valli and Fausto Puglisi and will also showcase the creativity of less well remembered figures such as Sorelle Fontana and Walter Albini. As well as charting the shifting international perception of Italian style, the display will also highlight techniques and materials used in the creation of Italian fashion with a digital map visualising the industry. Runs until 27th July. Admission charge applies. For more, see www.vam.ac.uk. 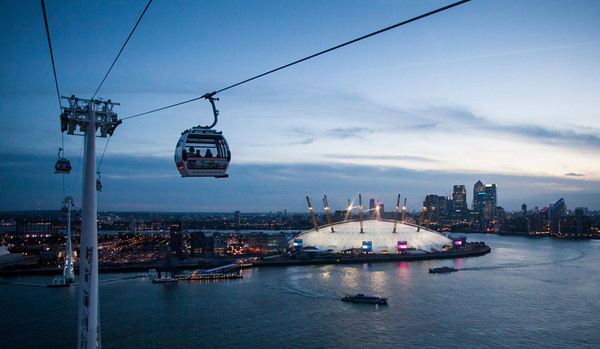 • The Mayor’s Thames Festival kicks off tomorrow and runs for 10 days until 15th September. This year’s highlight’s include the day long A Ship’s Opera which culminates in a sound and light “spectacular” at Tower Bridge, large-scale artworks placed on boards along the river, an exhibition of more than 50 artworks inspired by the Diamond Jubilee Pageant along the Thames, a film celebrating the people who live and work on the river which will be shown for free on an outdoor screen, riverside choral performances, boat races – including the world’s slowest river race and the longest race on the Thames – and the Source to Sea River Relay in which a bottle of Thames water, filled at the Thames’ source, will be relayed by walkers, swimmers, rower and sailors for the entire length of the river. Most activities will be focused on the stretch of river between Lambeth Bridge and St Katharine Docks. For a full program of all events, check out www.thamesfestival.org. 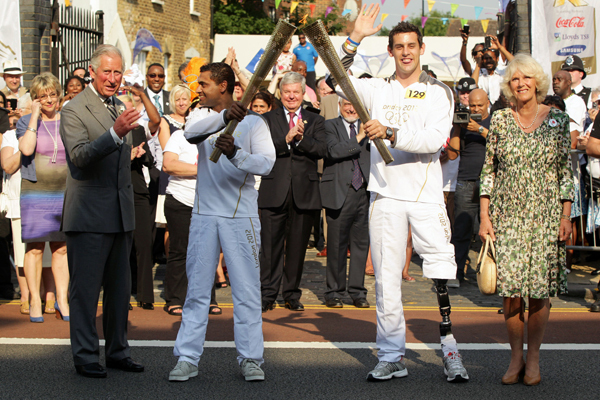 • Last year’s Olympics and Paralympics will be celebrated again in events taking place this weekend. On Saturday – a year since the Paralympic Games closed – disabled athletes and performers will descend on Queen Elizabeth Olympic Park for a day of celebration to mark National Paralympic Day. Part of the Mayor’s Liberty Festival, an annual showcase of deaf and disabled artists, highlights will include an aerial and sway performance – ‘The Limbless Knight’ – and the ‘Miracoco Luminarium’, an interactive light sculpture. The free day runs from noon to 8pm. For more information, see queenelizabetholympicpark.co.uk/events/2013/6/disability-sport (note that registration is required to watch paralympians in action in the newly reopened venue, the Copper Box). Meanwhile on Sunday, Hampstead Heath will host the annual Give it a Go! Olympic legacy festival. Kids will have the chance to take part in everything from penalty shootouts and street dance, boxing and fancy dress and circus workshops as well as martial arts and rugby sessions, and free tennis lessons. The day runs from 1pm to 5.45pm. For more, see www.cityoflondon.gov.uk/hampsteadheath. • Victorian revivalism is under examination in a new exhibition at the City of London’s Guildhall Art Gallery. The multi-media, multi-sensory show Victoriana: The Art of Revival explores the work of contemporary artists inspired by the 19th century – including Yinka Shonibare, Grayson Perry and Paula Rego – and features graphic design, film, photography, ceramics, taxidermy, furniture, textiles and fine art. More than 70 works are included – among them is a piece created specially for the show, Paul St George’s ‘Geistlich Tube’ – and they’re grouped under four themes – the Neo-Victorian Identity, Time Travel, The Cute and the Curious, and The Reimagined Parlour. The exhibition opens on Saturday and runs until 8th December. Admission charge applies. For more, see www.cityoflondon.gov.uk/victoriana. • Diver Tom Daley’s swimming trunks, cyclist Bradley Wiggins’ yellow jersey and a Mary Poppins outfit worn in last year’s Olympic Games’ opening ceremony are among the items on display as part of the Museum of London’s 2012 display. The free display, which opened last week, exactly 200 days after the Paralympics closing ceremony, features a selection of 70 items connected with the Games. Runs in the Galleries of Modern London until 31st October. For more, see www.museumoflondon.org.uk. • Oxford took line honours at the 159th Boat Race, held on the River Thames last weekend. The Dark Blues – whose crew included Olympic medalists Constantine Louloudis and Malcolm Howard – still trail Cambridge (the Light Blues) – whose crew included another Olympic medallist, George Nash, however, with 77 wins to 81 wins. For more, see www.theboatrace.org or our previous articles – here and here. • Kew Garden’s historic Temperate House has received a £14.7 million Lottery Fund grant for conservation of the Grade One listed building, the largest Victorian glasshouse in the world. The grant – which adds to £10.4 million from the government and £7.7 million from private donors – will also be used to create a “more inspiring” public display for visitors with the overall £34.3 million project completed by May, 2018. The building opened in 1863 and was last refurbished 35 years ago. It houses some of the world’s rarest plants, including a South African cycad (Encephalartos woodii). For more, see www.kew.org. • On Now: Phantom Ride. This “haunting” film installation by artist Simon Starling was commissioned by the Tate Britain in Millbank and is located in the neo-classical Duveen galleries. Referencing the late nineteenth century tradition of ‘phantom rides’ – films, often made by cameramen strapped to the front of a train, that gave a dramatic sense of motion as if one is aboard an invisible vehicle – the installation includes a “compelling flow of images” of artworks that once filled the Duveen galleries, creating a sense of movement as the works move up and down the walls. Admission is free. Runs until 20th October. For more, see www.tate.org.uk. • A new exhibition opens at the Foundling Museum tomorrow (25th January) which tells the often heart-breaking stories behind the tokens left by mothers with their babies at the Foundling Hospital between 1741-1760. While hundreds of tokens were removed from the hospital’s admission files in the 1860s, Fate, Hope & Charity reunites the tokens – which range from coins and jewellery to playing cards, poems and even a nut – with the foundlings to whom they were given. A moving exhibition. Museum admission charge applies. For more, see www.foundlingmuseum.org.uk. • The Duc and Duchesse de La Rochefoucauld-Doudeauville were among those who attended the dedication of a ledger stone marking the grave of their kinsman, Field Marshal Francois de La Rochefoucauld, the Marquis de Montendre, at Westminster Abbey last week. Born in 1672, de La Rochefoucauld served in the British Army during the reign of King William III and Queen Mary II after fleeing France as a Huguenot refugee (he had also succeeded his brother as marquis). He was promoted to field marshal in 1739 but died later that year and was buried in the abbey. The floor stone which was replaced by the new ledger stone will be sent to France for inscription and installation at Montendre. For more on the abbey, see www.westminster-abbey.org. • One we should have mentioned with our piece on Royal Albert Hall last week. The Royal Albert Hall is running behind the scenes tours of the venue every Monday until 11th February as well as Tuesday 29th January (so you’ll have to be quick!). The tour – which runs as an extension of the front of house tour – takes in the loading bay located under the hall and one of the many dressing rooms (currently in use by Cirque de Soleil who are in residency with their new show KOOZA. The 90 minute Behind the Scenes tours cost £16. Booking in advance is strongly recommended. For more, see www.royalalberthall.com. • A pair of swimming trunks worn by diver Tom Daley during the 2012 Olympic Games has been donated to the Museum of London. The trunks join an ever increasing collection of Olympics and Paralympics-related outfits in the museum with others including a leotard worn by bronze-medal winning gymnast Beth Tweddle. 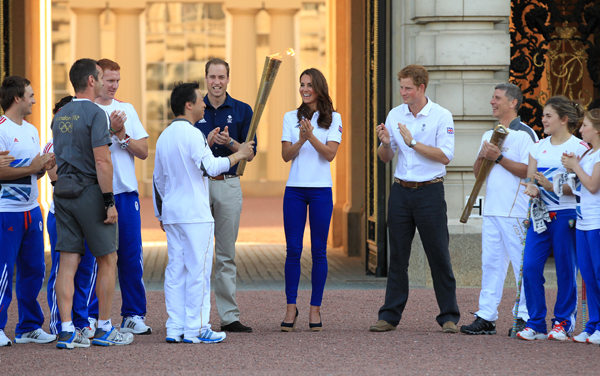 A display featuring the Olympic kit is being planned for spring. Meanwhile, still aty the museum and an exhibition featuring a series of photographs exploring the city’s major arterial roadways opens on Saturday. The free exhibition, Highways: Photographs by John Davies, features six specially commissioned photographs taken by Davies in 2001-02 – just prior to the introduction of the Congestion Charge in 2003. Routes featured include the Elephant and Castle roundabout, the Hammersmith Flyover, Marble Arch and Hyde Park, St Pancras Station Midland Grand Hotel and the A501, the junction of Poultry and Queen Victoria Street and the Blackwall Tunnel entrance. Runs until 16th June. For more, see www.museumoflondon.org. • On Now: Murder in the Library: An A-Z of Crime Fiction. This exhibition at the British Library looks at the history of crime fiction and features never-before-seen manuscripts, printed books, rare audio recordings, artworks and artefacts. Highlights include Arthur Conan Doyle’s manuscript of the Sherlock Holmes story, The Adventure of the Retired Colourman (1926); the first appearance in print of Miss Marple (in Royal Magazine in 1929); John Gielgud’s annotated script for the film Murder on the Orient Express, crime novels from unlikely authors including Pele and burlesque performer Gypsy Rose Lee and the 1933 book, the Jigsaw Puzzle Murders in which readers had to complete a jigsaw puzzle to solve the crime. A series of events will be taking place alongside the exhibition. Entry to the library’s Folio Society Gallery is free. Runs until 12th May. For more see www.bl.uk. 4. Around London – Olympic Rings unveiled on Tower Bridge; London from above; Blake on Primrose; V&A illustrations; and, Munch at the Tate Modern. More on an Olympic theme. 3. LondonLife – Florence Nightingale remembered. A piece mentioning the annual service at Westminster Abbey commemorating the life of the ‘Lady with the Lamp’. Part of our LondonLife series. 5. Around London – Butler’s Retreat reopens in Epping Forest; Designs of the Year; and, Lucian Freud’s last work. The reason for this update’s inclusion remains a bit of a mystery – but it was a big year for the late Lucian Freud. 8. 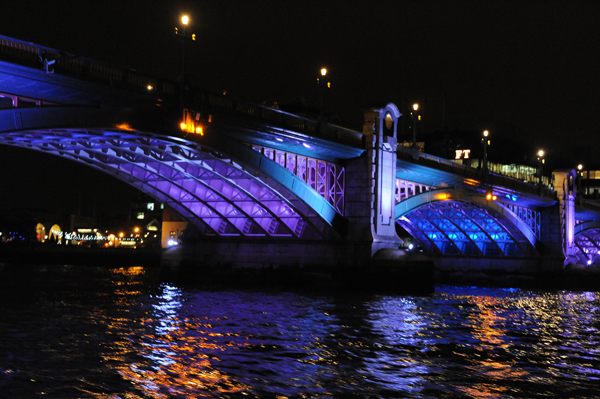 Olympics Special – London bridges aglow. 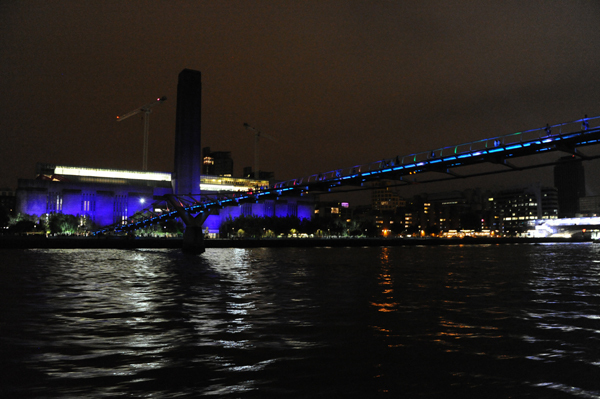 A piece showing how many of inner London’s bridges were illuminated at night during the Games. 7. LondonLife – The Queen visits the newly transformed Kensington Palace. Queen Elizabeth II pays a visit to mark the completion of a £12 million, two year renovation project at Kensington Palace. 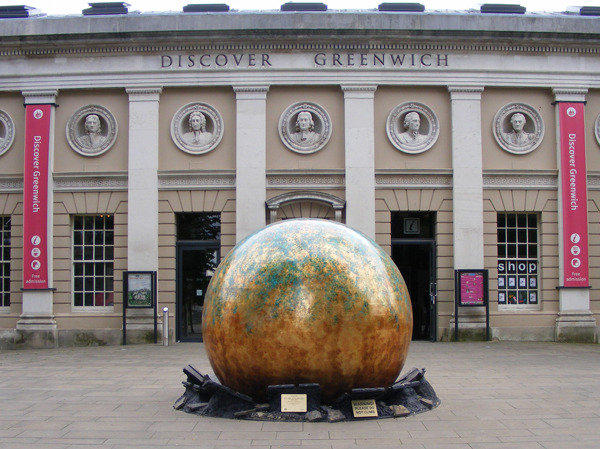 Another reminder of the Olympic and Paralympic Games in London can be found at the Old Royal Naval College in Greenwich. The sculpture, a three metre wide shot put embedded in the ground, is one of a series of three different Gifts from the Gods sculptures which have appeared around the city. 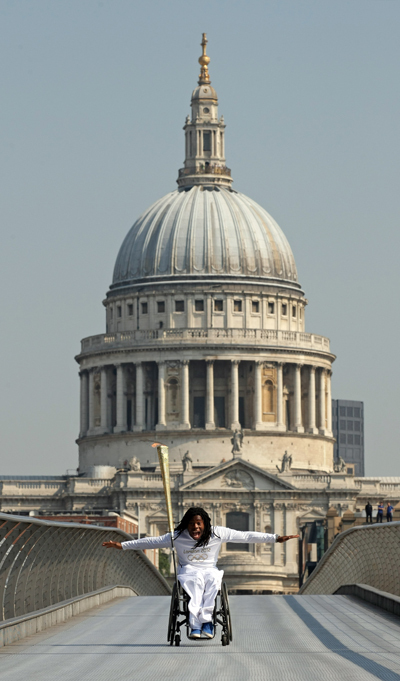 As well as shot puts, the other sculptures – all of which look as though they’ve been dropped from a great height – depict a 10 metre high javelin and a seven metre long bow with arrows. The sculptures, which will remain in place until 10th September, are part of Wonder, a series of interactive installations put in place as part of the Mayor of London Presents program. For more, see www.molpresents.com/wonder. For more on the Old Royal Naval College, see www.ornc.org. PICTURE: Steve Bradbury/Courtesy of ORNC. The Olympics might be over but there are still plenty of reminders of the Games around town. Not the least of which are the gold postboxes, painted that color in celebration of London’s gold medallists (the postboxes are located in the home towns of the gold medallists where possible). Pictured is the gold postbox in Heathfield Terrace, Chiswick, west London, painted gold in honor of the victory of Pete Reed in the men’s four rowing. 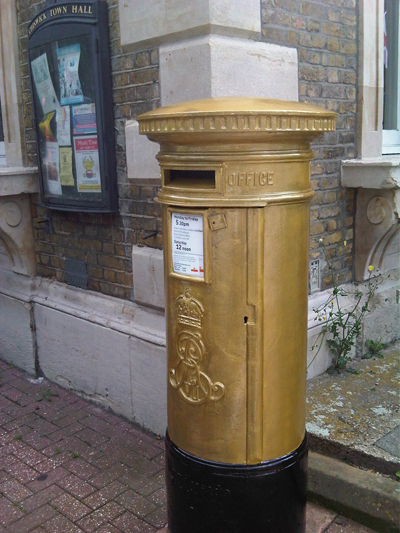 It’s one of a number of gold postboxes in London – others include one in with others in Carshalton Road, Sutton, for Joanna Rowsell’s gold medal win in the women’s team pursuit; one in Church Road in Wimbledon for Andy Murray’s gold medal in the men’s tennis singles, and one in Broad Street, Teddington for Mo Farah’s gold medal in the men’s 5000 metres. Royal Mail has a website where you can see the location of all the gold postboxes in London and elsewhere around the nation – www.goldpostboxes.com. 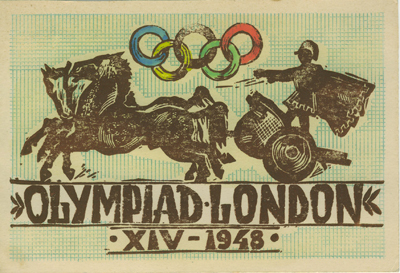 Not sure how long the gold is going to last – Royal Mail has said they will repaint them red – the color they have been, with a few exceptions, since 1874 – in “due course” but there is a push for them to remain gold as a reminder of the Games. PICTURE: Courtesy of Royal Mail. While the history of the All England Tennis and Croquet Club goes back as far as 1868 (it was initially just known as the All England Croquet Club), the first Wimbledon Championships, officially known as The Championships, Wimbledon, were held some nine years later in 1877. 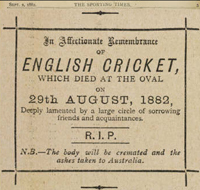 The only event held at the first championship was the “gentlemen’s singles” and the winner was cricketer (and, of course tennis player) Spencer Gore who emerged victorious over William Marshall in straight sets – 6-1, 6-2, 6-4 – before a crowd of about 200 (the “ladies’ singles” wasn’t introduced until 1884 with Maud Watson the first female champion after she defeated her sister Lilian). Each of the 22 male amateur entrants had paid an entrance fee of £1, 1 shilling, and had to bring their own racquets and shoes “without heels” but were supplied with tennis balls. Gore apparently won 12 guineas in prize money as well as a trophy, the Field Cup (the Gentleman’s Singles Trophy was introduced in 1887). The club was then located at a site on Worple Road in Wimbledon (see our earlier entry about a plaque unveiled there earlier this year); it wasn’t until 1922 that it moved to it current location in Church Road. The layout of the courts at Worple Road – which saw the principal court named Centre Court thanks its position in the middle of the others – was carried over to the new location. 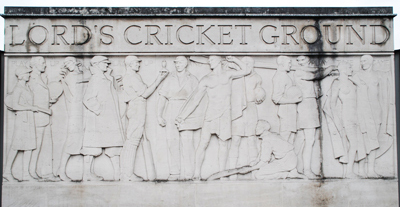 For more on the history of Wimbledon – which was the site of the tennis competition during this Olympics – including important milestones, see our earlier entry. 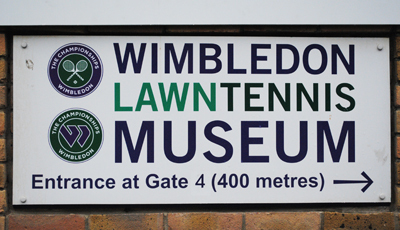 There is a museum based at Wimbledon (pictured above) which details more of the history of the place with exhibits including the Championship trophies, tennis memorabilia dating back to 1555 and a ‘ghostlike’ John McEnroe talking about the games and his opponents in his old dressing room. The museum is currently hosting a special exhibition, Tennis at the Olympics. 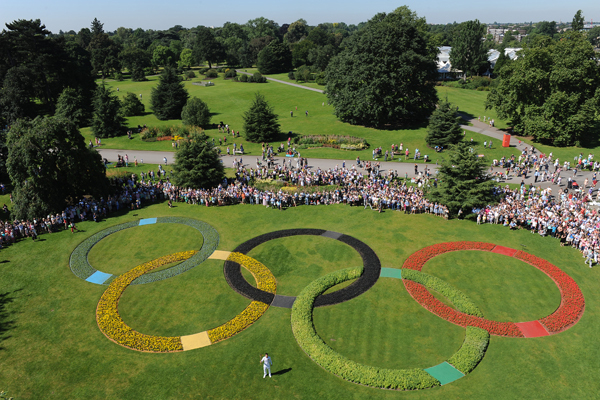 WHERE: All England Lawn Tennis Club, Church Road, Wimbledon – between gates 3 and 4 (nearest tube Southfields); WHEN: 10am to 5pm (last admission 4.30pm) daily (not during the Olympics – reopens on 15th August); COST: Museum only £11 an adult/£9.50 concessions/£6.75 child, or Museum plus tour £20 an adult/£17 concessions/£12.50 child; WEBSITE: www.wimbledon.com. 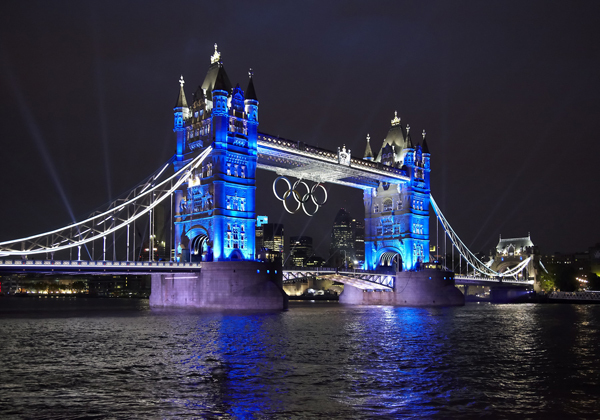 The most iconic of London’s bridges, Tower Bridge has been a focal point for Olympic celebrations. One of the great structures of Victorian London, it was opened in 1894 and at the time was largest bascule bridge ever built (for more on Tower Bridge, see our earlier post here). The most recent version of London Bridge, this links Borough High Street in Southwark (you can see Southwark Cathedral in the background) and King William Street in the City and was built in the late 1960s/early 1970s and opened by Queen Elizabeth II in 1973. There have been bridges in this vicinity since as far back as Roman times (for more on the history of London Bridge, see our earlier post here). The current Southwark Bridge – which links the City of London with the heart of Southwark – dates from 1921 and replaced an earlier bridge designed by John Rennie. Initially plaqued by the wobbles, the steel suspension walk bridge known as Millennium Bridge is the newest of the bridges that cross the Thames in central London, linking St Paul’s Cathedral on the north bank with the Tate Modern on the south (the looming bulk of which is pictured here). 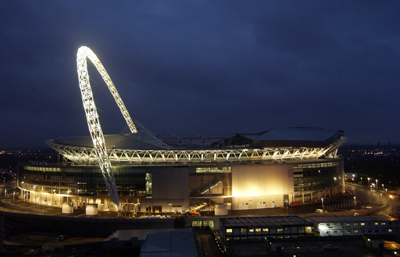 First opened in July 2000, it was closed after concerns over its movement and then reopened to the public in 2002. 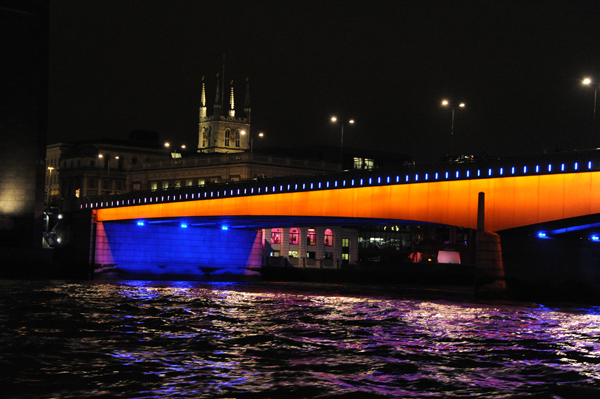 Other bridges taking part in Dazzle but not shown here include the Golden Jubilee footbridges, Waterloo Bridge and Blackfriars Bridge. For more on the program, see www.molpresents.com/dazzle. 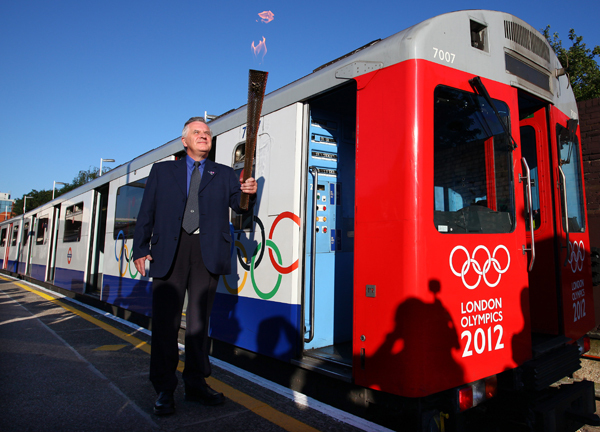 PICTURES: All images courtesy of the City of London Corporation.